Make sure you know what your district policy is concerning social media. Keep personal and professional separate. 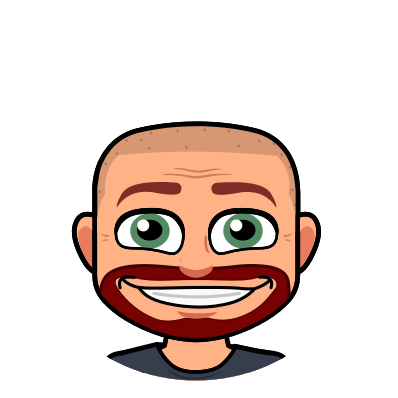 If you are going to use Twitter and Facebook with your students, take the time to create separate accounts for each so that you can keep your personal life and opinions out of your professional business and vice versa. NEVER engage yourself in a discussion with a parent through social media. Keep conversations private. You should be using these networks to share information only. In short…use good judgment and always air on the side of caution. Text messaging may be the best way to get your parents’ (and/or students’) attention. Even the “dumb” phones are capable of receiving text. It is a great way to send out an APB to remind everyone about a quiz, a field trip, or to hand in a form that is due the next day. I love the advantages texting gives you, but there are also a couple of disadvantages. First of all, I would not want all of my class to know my personal cell phone number…again keeping personal and professional separate. Second, it opens the possibility of being engaged in a conversation you may not want yourself in on your own time with your personal device. Remind 101 is a great way to utilize all the advantages while keeping the disadvantages at bay. Remind 101 is a free service that allows you to send out text messages to a group from a computer generated number, not your own. It is also only a one-way conversation. 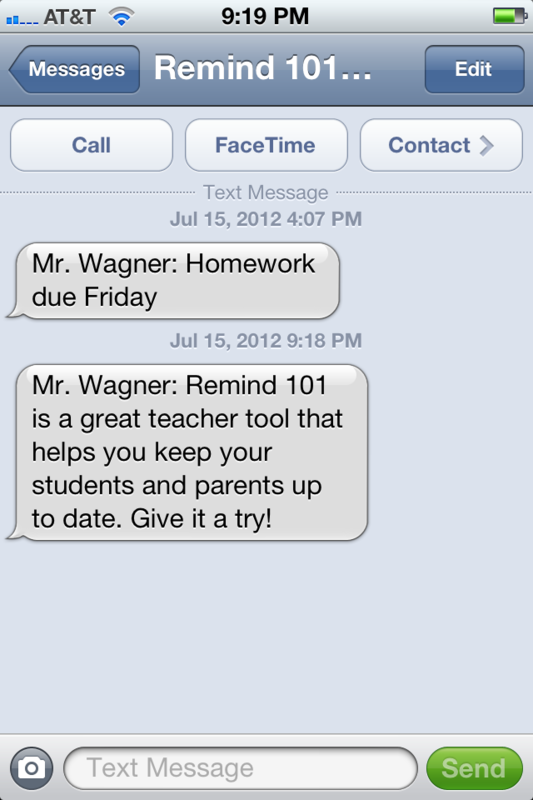 People are not able to reply or text to your Remind 101 account…they can only receive messages. To learn more about Remind 101, click here. Visit remind101.com to set up an account. Once you have your account you have the option to create different classes. You are supplied with a number and message to share with those you want to join each class. They text the message to the number you give them and they are connected. It prompts them to text back their name so you know who has joined the group. That is it for set up! When you are ready to send a message, return to the site and choose your class. Type out your message and send it out. Everyone that is enrolled in that class will receive the message you sent! Know you want to send a message tomorrow but afraid you’ll forget? No problem. You can type it up now and schedule it to be sent whenever you feel it is appropriate. Still not convinced? There is an app for your iOS device so you can send messages from anywhere anytime! Remember that positive contact with your students and parents will result in positive relationships throughout the year. Keep them informed…and have fun doing it!